At the Conservative Party Conference, Prime Minister Theresa May proudly confirmed that she will end freedom of movement as part of her plan to deliver Brexit. In doing so she pandered to the politics of the day and wilfully ignored the evidence of experts and the freedoms of her own people. Immigration has been a hot topic in the UK for the past decade, filling newspaper column inches, that often either pander to, or stir up, anti-immigration sentiment. Such sentiment peaked on 23 June 2016 when 52% of the UK electorate voted to leave the European Union. The first two arguments are simply wrong and the third is true but disingenuous. One implication of reducing immigration is therefore that the current government will implement more austerity measures to meet its (misguided) aim of balancing its budget at all cost. The common-sense arguments are therefore clearly refuted by credible evidence, including the government’s own commissioned research. Despite this, the government is not only disingenuous about the benefits of reducing immigration, it is disingenuous in using the end of freedom of movement to reduce net immigration to tens of thousands. That net immigration is beneficial seems to be the only explanation that no effective action has been taken on immigration by successive recent governments to limit non-EU net immigration. 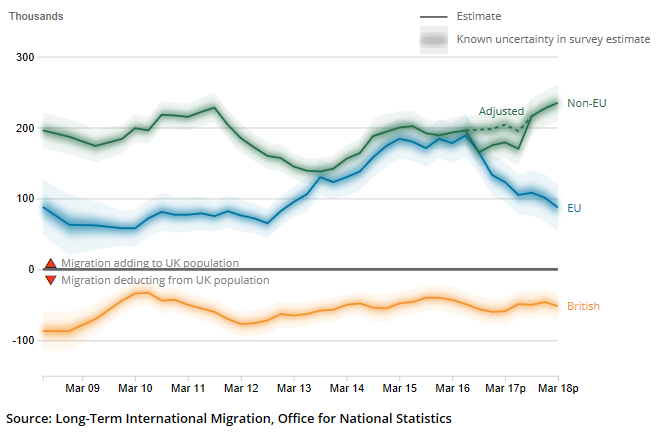 Previous governments could have implemented policies to cut the number of non-EU immigration at any point had this been a genuine priority and should they have genuinely believed the populist arguments in favour of limiting net immigration. The removal of freedom of movement will allow the government to put EU citizens on the same footing as non-EU citizens and subject them to any new immigration rules the British government develops. However, giving away British citizens’ freedom of movement (without having first limited non-EU immigration) seems a big price to pay. 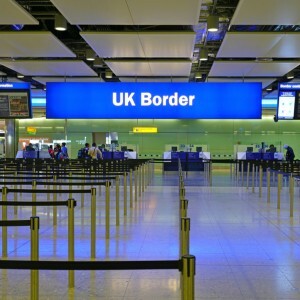 Evidence shows that our economy and our society benefit from immigration: choosing to end freedom of movement is the wrong answer to the wrong question.